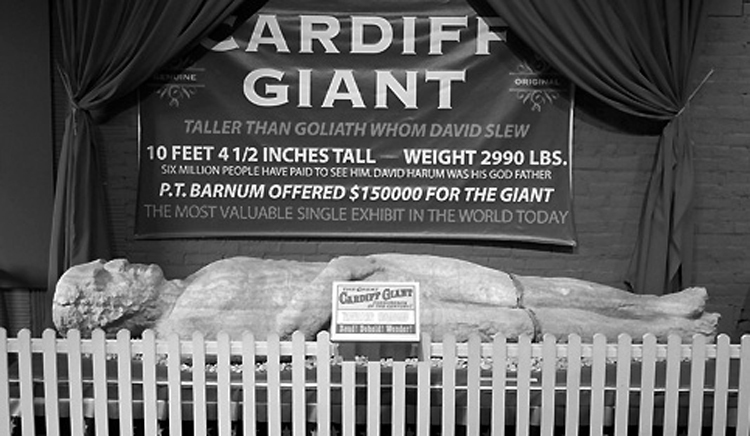 The central Appalachians — through Pennsylvania, New Jersey and New York — is the natal home of the cheesy roadside attraction. Many are now gone, but many also remain, often looking cheesier and more shopworn than ever. The Catskill Game Farm is no longer there, but Santa’s Workshop is still going strong. They are also home to many early resorts and vacation hotels, pitched on mountain ranges not far outside the cities of Philadelphia or New York, where urban dwellers could spend a week or two breathing healthy mountain air — the Poconos or the Catskills. And hikers can follow trails through the many state parks, or the long Appalachian Trail, which courses through the three states, weaving a path that avoids urbia and suburbia and finds the long, bent ridge lines of the breadloaf mountains. This section of the Appalachians is the most highly populated, but there are still bits of woods and rock. But that population also meant it was economically feasible to build those legendary roadside attractions — Crystal Caves and Frontier Towns — that once punctuated the now-forlorn backroads and highways. 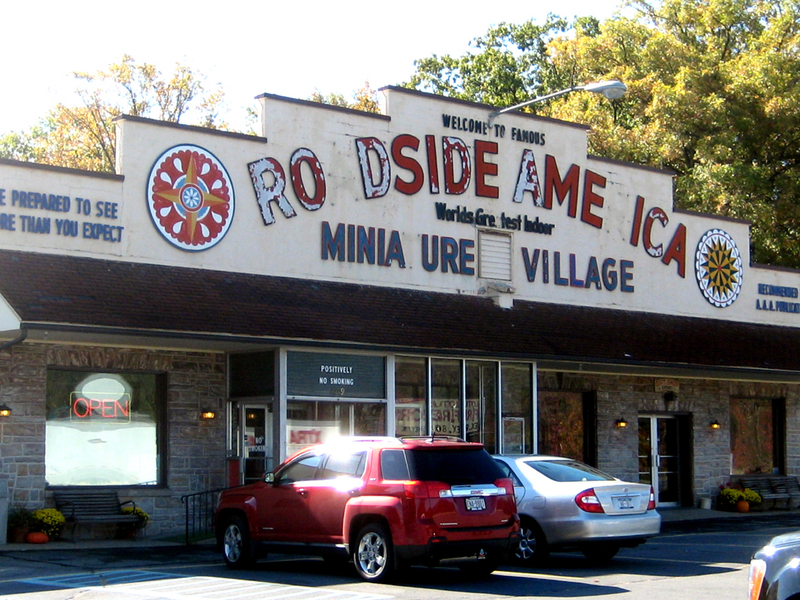 The quintessential tourist mecca is Roadside America in Shartlesville. 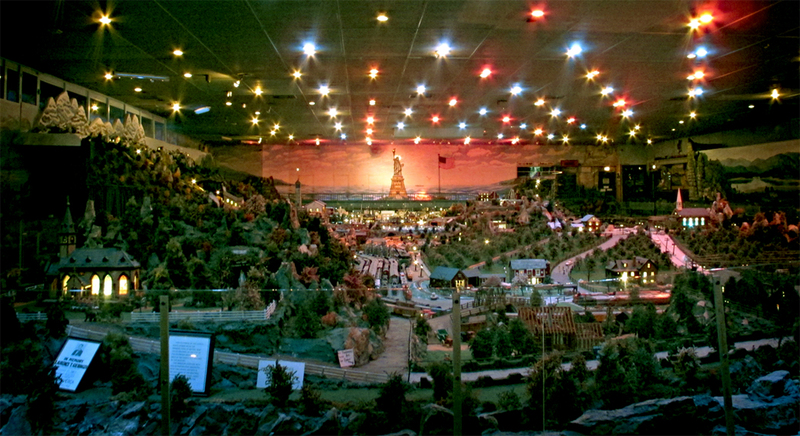 It is a model-train layout the size of a department store. Opened in 1941, the exhibit is run by the descendants of its creator. Stay for the simulation of night, when all of the buildings light up and Kate Smith sings God Bless America while a spotlight shines on the Statue of Liberty. Not much can live up to that. But there is the Sturgis Pretzel House in Lititz, which is the nation’s oldest operating pretzel factory, where you can learn the craft. 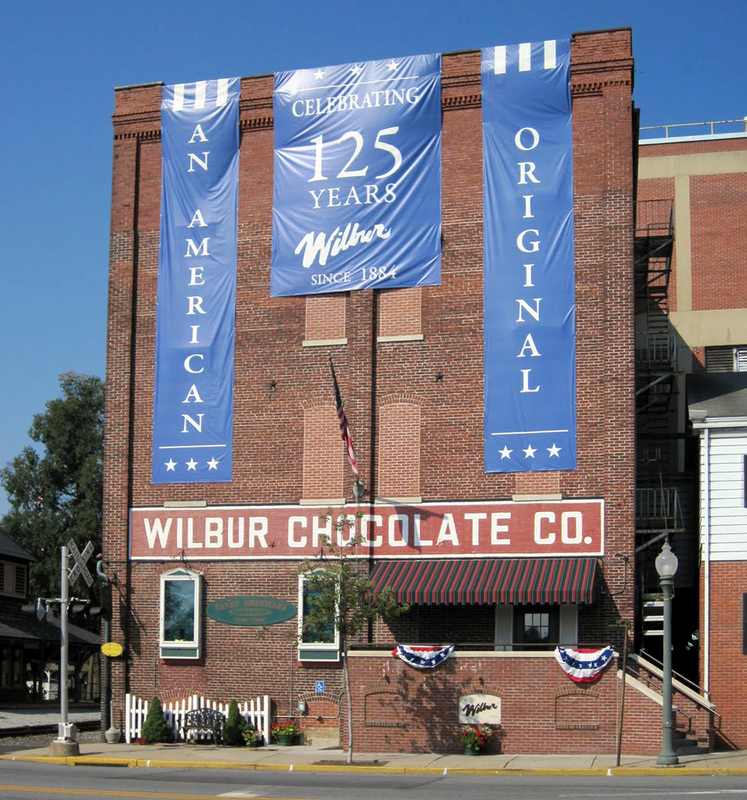 Also in Lititz are the Wilbur Chocolate factory and the Heritage Map Museum. In nearby Ephrata is the Ephrata Cloister, which has a dozen well-preserved 250-year-old wooden buildings, including dormitories for the communal society of religiously celibate German Pietists. In York, in the heart of Pennsylvania Dutch country, you can visit the Weightlifting and Softball Hall of Fame and the Harley-Davidson assembly plant and museum. And near Harrisburg, Three Mile Island and its remaining nuclear power plant is on the Susquehanna River. 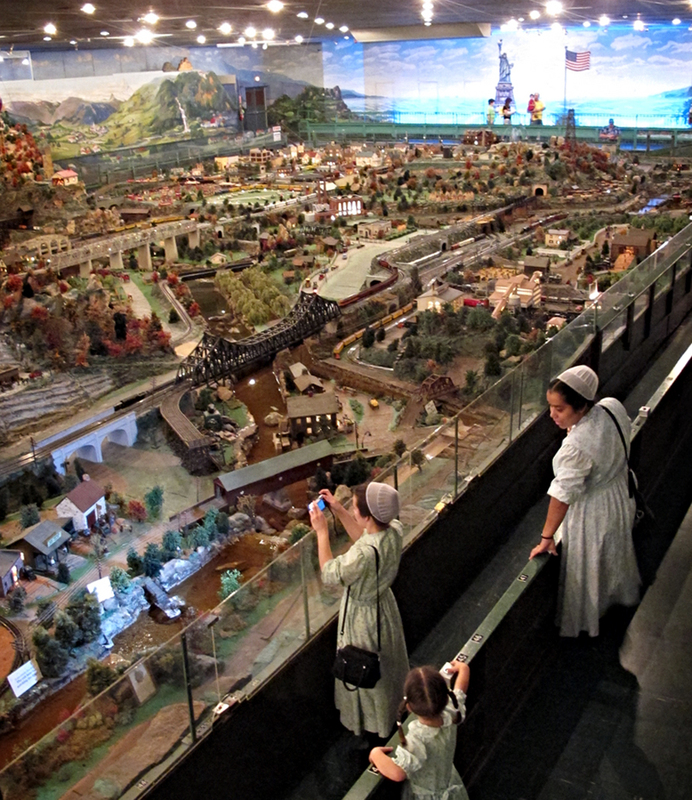 More serious sites include Gettysburg National Military Park in Gettysburg and the Johnstown Flood National Memorial near Johnstown, where the National Park Service is showing its version of an Imax-style film with stunning special effects re-creating the devastating 1889 flood that killed more than 2,000 people. Only a slice of the Appalachians cuts through New Jersey. The most important stop is the Delaware Water Gap National Recreation Area along the Delaware River. There are some exhibits, 200 miles of roads through the mountain country and uncounted hiking paths. 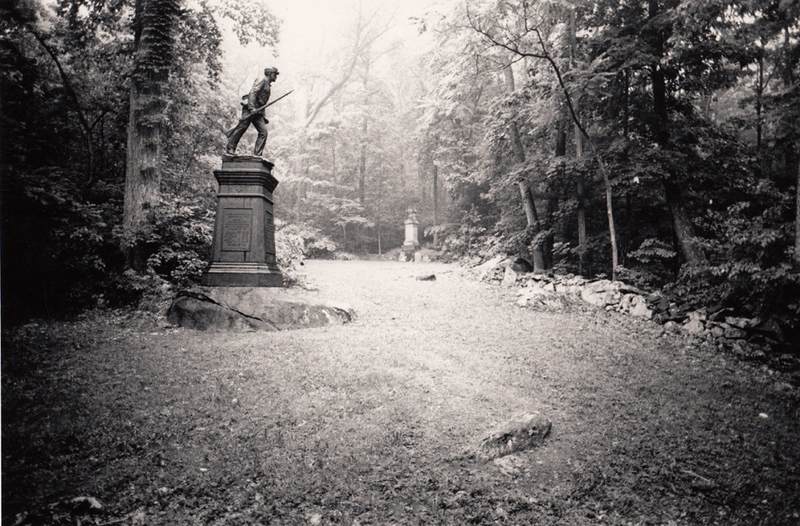 High Point State Park is the highest point in the state. Both it and the Water Gap include portions of the Appalachian Trail, the 2,000-mile footpath that runs along the Appalachian crest from Georgia to Maine. The rest of New Jersey’s mountains are kind of pathetic: The Watchung Mountains in the center of the state peak out at 879 feet above sea level. But New York, home to the Catskills and the Adirondacks, is one of the champions of roadside kitsch. There are dinosaurs, giant lumberjacks, recreated 19th century villages and Niagara Falls — the granddaddy of all vacation (and honeymoon) hucksterism. Santa’s Workshop in North Pole, N.Y., is called the oldest theme park in the U.S. It opened in 1949 and used to have a petting zoo. There are dozens of Santalands and Christmas villages around the country, but this one, in northern New York, was the first, and it still gives an idea of the old-fashioned roadside attraction that has been eaten up by the Disney Worlds and Five Flags of the world. Washington Irving wrote about the Dutch settlers of the Hudson Valley in such stories as The Legend of Sleepy Hollow and Rip Van Winkle. 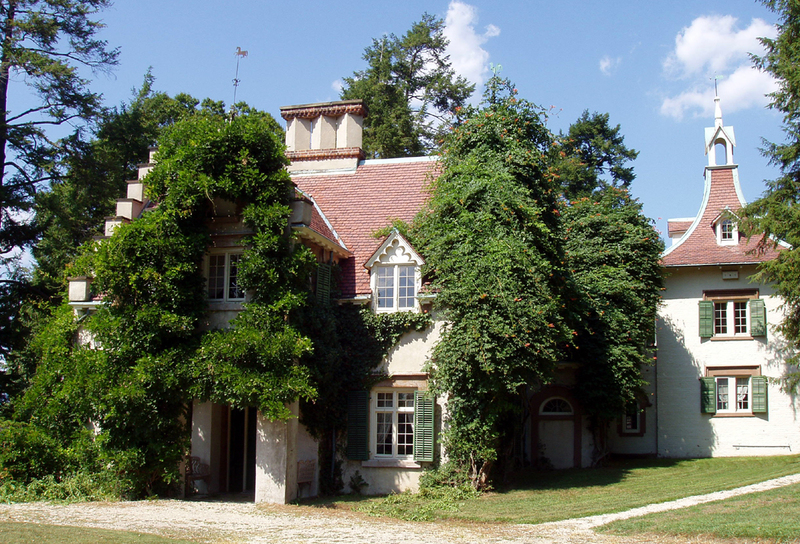 His estate in Tarrytown is called Sunnyside and is a delightful look at life in the early part of the last century. 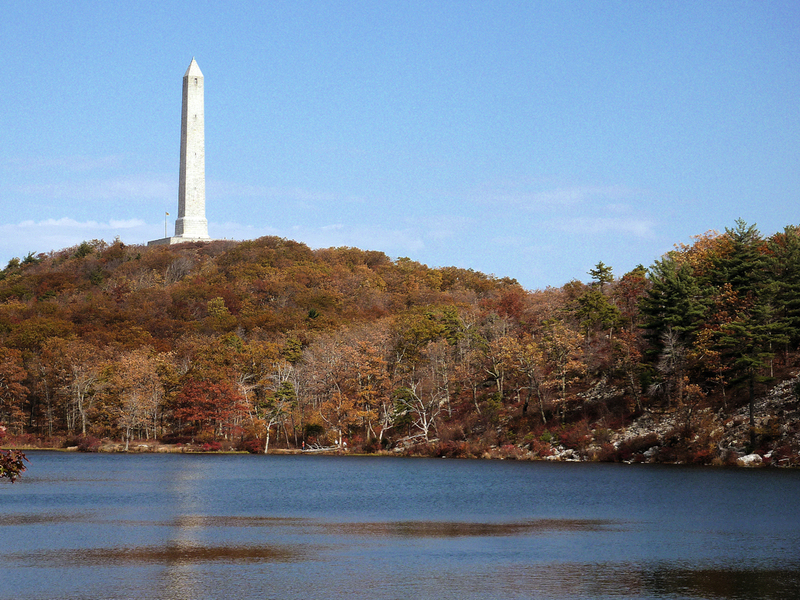 A little farther north and on the other side of the river are Harriman and Bear Mountain state parks. Seven Lakes Drive takes you through the crisp lake country of Harriman, and Perkins Drive takes you to the summit of Bear Mountain, where, on a clear day, you can see as far as Manhattan. Just north of Bear Mountain Bridge is the National Military Academy at West Point, with its parade grounds, faux medieval architecture and stunning view of the Hudson River and Storm King Mountain. And naturalist John Burroughs’ birthplace and final home are commemorated in the John Burroughs Memorial Field, near Roxbury. 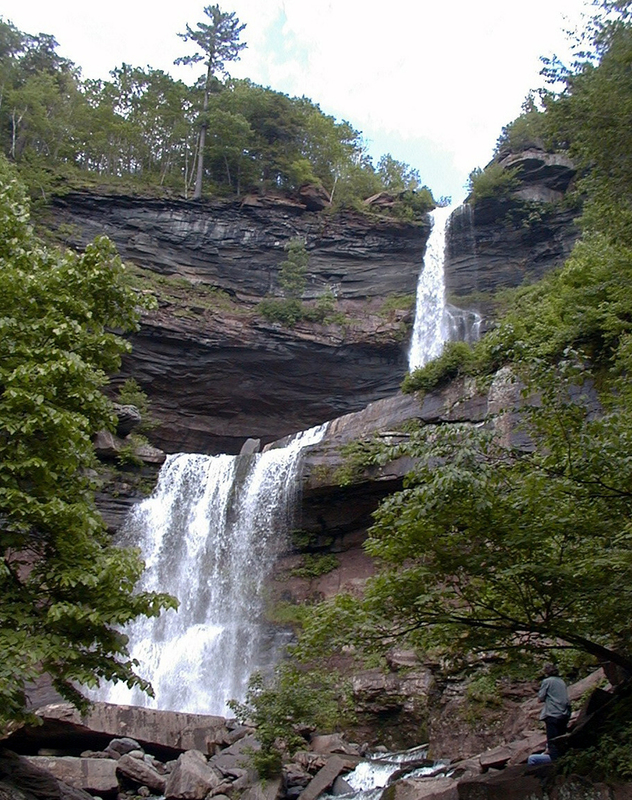 On the way, don’t miss Kaaterskill Falls, one of the most famous and oft-painted waterfalls in the country. 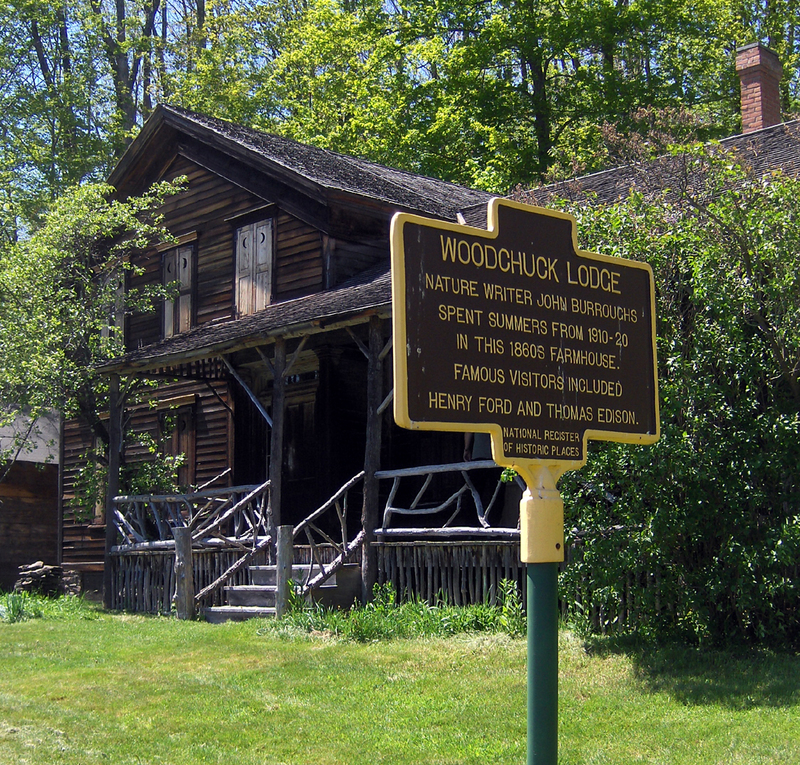 And in Cooperstown, there is not only the Baseball Hall of Fame, but Fenimore House, the home of James Fenimore Cooper, best known as the man who invented John Wayne — aka Leatherstocking, Hawkeye, the Pathfinder and Natty Bumppo — and the Farmer’s Museum and Village Crossroads, home to the Cardiff Giant, greatest archaeological hoax of all time.